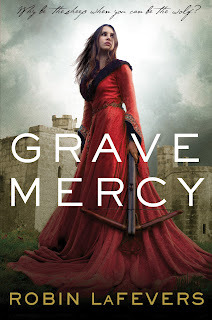 I had perfectly moderate hopes for Grave Mercy after having enjoyed Robin LaFever's MG book Theodosia and the Serpents of Chaos but not really having any idea what to expect from her foray into YA. Apparently what I should have expected was the answer to all of my bookish prayers, because that's exactly what I got! It was like Robin LaFevers looked directly into my heart and then wrote out the story of my dreams. I have a fascination with assassins, probably because they both do what I will never experience (um, killing people) and they are experts at stealth and physical prowess (I'm about as stealthy as a puppy, which is, yeah, not very). Ismae is totally badass when it comes to her assassin skills. She is a master at poisons and pretty handy with physical combat. Need someone killed? Ismae is your girl! But when Ismae is assigned to play the part of a mistress in order to ferret out deadly court secrets, she's a total fish out of water. I adored her! She's one of those MCs who is imperfect--she makes mistakes, she isn't always right, she puts her foot in her mouth when talking to the guy she likes, and I love her for her imperfections (probably because I share them). Her first person narration was especially wonderful in showing her embarrassment over her social flubs. Ismae is also torn between following her heart and following the directives of her convent, and her conflicted feelings here really resonated with me. I felt for her, and even though I've never actually been in the position of to-kill-or-not-to-kill, I could still totally understand her struggle between pleasing others or pleasing herself. I loved seeing her grow into her own woman! I'm super picky about romance, but Grave Mercy dished up my absolute favorite kind. The guy, Duval, isn't a weenie (auto-points for that!). To prove this, he totally held his own when he and Ismae were attacked (Hot guy with sword alert!!). And this is just one example among many other wonderfully manly actions. Of course he's physically attractive, but I fell in love with him because he's also smart, strong, unwaveringly loyal, and the type of person who inspires that same loyalty in return. He didn't exactly like or trust Ismae when they first met (hate turned love--more points!! ), but he still treated her with respect because he's classy like that. Their romance evolved slowly across the book and never overwhelmed the plot. But did I get *that* kiss at the end? OH YEAH, and a lot more than that! My favorite parts were actually the non-kissing parts when Duval visits Ismae's bedroom at night (no, not how you're thinking). Those scenes crackled with romantic tension. This book is probably more like Poison Study where it is an adult/YA crossover instead of straight YA. Some of the themes and events may be a little mature for younger YA audiences. The political intrigue is ramped up to 11 and with all the twists and turns, I rarely knew who to trust. So many people had motives, and many of them were engaged in smaller side schemes. As the story came together I was able to deduce the ultimate bad guy before Ismae, which might have been a little frustrating but really didn't bug me in the face of all the other awesomeness. I also wasn't overly bothered by discovering the who because the effects of their scheming were still engaging. Poor Anne (the duchess, Duval's half sister and the woman to whom Ismae's convent has sworn their loyalty) is put in truly awful situations and as the book progresses, Anne's position becomes increasingly perilous. I adored Anne, so I had my book clutched in a white knuckled grip wondering how in the world Ismae and Duval were going to outsmart all of Anne's enemies and worrying that something truly awful was going to happen as the machinations of the court vipers slowly closed in around them. The setting of Grave Mercy is medieval France from the perspective of Brittany (who, at this point has been taken over by France but is still trying to maneuver for independence). I knew NOTHING about this time period. Literally, embarrassingly, nothing. Prior to reading this book I even thought Brittany was in a completely different part of Europe. See? Embarrassing, but true. So given that, I have absolutely no clue about the level of historical accuracy or inaccuracy in Grave Mercy. I do now know (thanks to Wikipedia) that Anne was a real person and the broad stroke events surrounding her marriage situation and the plight of Brittany at the time are true. (Although I've since learned a lot more from this slightly spoilery author's note). But did my lack of knowledge matter? Nope, not at all. Robin LaFevers constructed her story in such a way that I didn't need to have any prior historical understanding. To me, it felt like I was reading a well-developed fantasy world with a detailed cultural backdrop and loads of political intrigue. The pacing isn't super fast, but it isn't slow either. It's what I'd call "slow-burn pacing." There was always something that held my interest and the secrets behind the political intrigue were unraveled at a pace somewhere between tantalizingly slow and satisfyingly fast. Though, honestly, these characters could sit around watching grass grow and I would still be interested in reading about them. 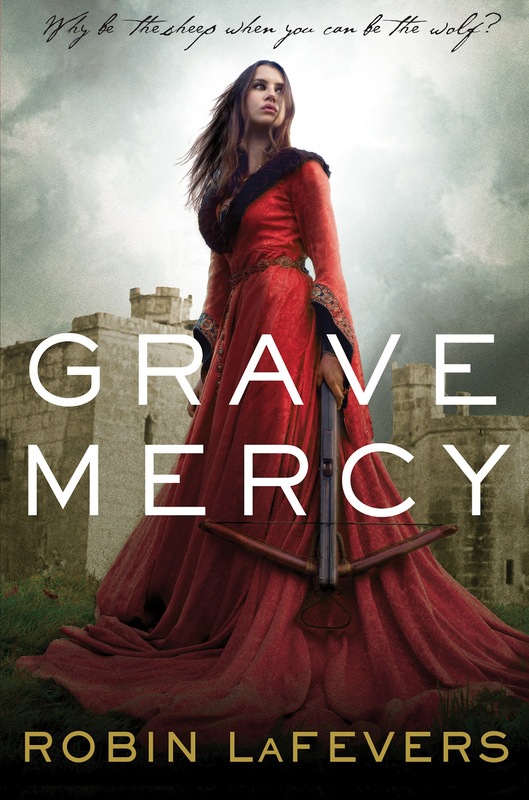 Grave Mercy is the first book in the His Fair Assassin trilogy, but it reads like a standalone. The next book will take place in the same setting, but will focus on a different girl and the final book on a third girl. I can't recommend Grave Mercy highly enough! I am so, so happy there will be more books in this fantastically wonderful new series. Do you have any questions about Grave Mercy that I haven't addressed? 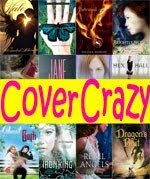 Check out my cover review! Check out Robin's interview from the Historical Fantasy Jubilee! Wahoo! I'm so glad you loved this. I picked it up from the library today. 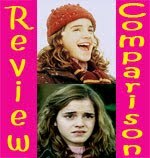 Almost everyone has raved about it. I'm excited to start it. After seeing all the rave reviews for this, I thought it would be something you'd enjoy. Personally I'm hoping to get to it this weekend or early next week as I'm very excited to see it live up to all the hype! I can't wait to read your take on it. I'm curious to see what you make of Duval, but I think you may like the love interest in the second book more. I've been trying to stay quiet on it for so long now (I read it in November), so it's really great to see all the hype surrounding it now! Is the love interest Beast? Because if so, yes-I want more of him! This books is just SO fabulous. Thanks for the link share! XD! <3<3<3. I'm getting more excited about this book with every review I read! It sounds as if it might be 'that book' for me as well. I so hope it is! Nothing beats the feeling of finding *that* book! Ahh! Reading your review gets me all excited about this series all over again. lol. Is it 2013 yet?! Haha I wish! Come on time, hurry up! Thanks for the review! I have been hearing so many good things it keeps bumping up on my TBR list! YAY! I really enjoyed it too but had a few qualms about it. I can't wait to learn more about Sybella and what she is up to. I'm curious about Sybella, too. She seems a little...unhinged! I'm going to miss Ismae, but I really want to find out what Sybella is up to. YAY, I'm always happy when I see great reviews on this book. It is definitely one of my favourites this year, and you summed it up perfectly. I didn't know the author wrote a note, so thanks for adding that into your review. Me too! I love seeing positive reviews for the books I love. You're welcome for the note! 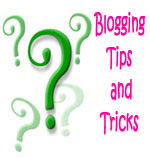 I really like the articles she writes on her blog. Another special shelf? And reads like Crown Duel? Must. Read. Book. YES! You must, must get your hands on a copy! Oh wow! Another SPECIAL SHELF book - two in one week. EEEK! I'm excited. I could have got this one from NG but I didn't know at the time it was this good - darn. I was so happy when I saw they were releasing around the same time so I could schedule their reviews together. It is really long, but it's one of those books that didn't feel long to me. I wish there were MORE pages! Oh my, I have been SO pumped for this book and even more so now, with your review and it being placed in your special shelf. Slow burn pacing sounds amazing, plus a good romance and nun assassins? YES, PLEASE. Yes! I think you will love it! The assassin nuns are really cool and all of Ismae's inner conflict regarding them adds a nice layer of depth. I hope you love it! You got me at hot guy with a sword alert! I'm confess I was going to pass on it based only on the page number which is massive for me. It sounds made of win. You have great powers of persuasion, Smallsie! that you do! The page count is SO massive for me (you know, I quake at 350+ page books! ), but I wish there were MORE pages! It's so good, and it didn't *feel* long to me. I can't wait to read this one. This is definitely the next book after I finish TNOTW. Oooooh I've heard awesome things about The Name of the Wind! I can't wait to read your review on it. I'm so intimidated by the large page counts and the fact that the series isn't finished yet (right?) and I heard there's cliffhangers. But I so want to read it now! Definitely bump Grave Mercy up toward the top of your pile though! YAY!!! I am not reading the whole review because I still haven't written mine yet, but I am thrilled to pieces that you loved it. It was such an exciting read and I hope a lot of people give it a chance. I have a crush on both Ismae AND Duval, hah. I am totally in love with this book! Head over heels, major crush! I adore the Theo books and like you I didn't know what to expect. But I was blown away. I could not stop reading. There's so many great things about this novel. This book holds a special place on my shelf too. Great review! Me too! It's so different from her Theo books, but I love how she writes characters. They're so real and they become people I care about. Lol, yes we need more books with hot guys using swords! I loved, loved this one too and can't wait for book 2! OH. GOSH, Small. Every inch of this review makes me happy and I feel reassured, as I'm reading this right now. I'm not going to lie, I'M HOOKED. I can't wait to get to all those Duval scenes. I'm dying to meet him! Oh swooon! Those Duval scenes are smoldering! I loved Ismae too!! Her bad-assery, her imperfections, the way she comes to realize her true purpose and that maybe the convent isn't infallible as she had thought - brilliant! I'm a bit bummed that the next book won't follow up with more of Ismae and Duval's story, but also really interested in reading more about Syella! Ah, excellent review! I totally agree with you on Ismae's character—she's the perfect female protagonist. And the romance was good, too, for sure (up until the end, haha). I loved that there wasn't a love triangle or anything.